Slightly longer delivery period than I would have liked ...... but I was informed of this and was willing to accept this. Overall, excellent quality and value and will be purchasing more clothing. Excellent products and speedy delivery. Benefited from substantial discount! Quality Clothing at a good price and supported by an excellent customer service. Everything I have bought has been well made, fits well and looks good! Second suit purchased both good quality. Plus great service. Thank you! Fast efficient service. Quality of both suits very good indeed. Highly recommended. Men's trousers and waistcoat also three piece suits. First class quality and beautifully made clothes. Thoroughly recommend your Company. Excellent service, quality product, good value. Ordering over the phone was really easy with friendly and helpful staff. The product was a really good fit and excellent quality at a good value price. I have bought at least a half dozen jackets from Brook Taverner which I wear to work, and they still look great today even though some are up to five years old! Just bought two fabulous three piece suits, Chivenor and Tennyson and the quality is superb as remarked on favourably by everyone who commented at a recent wedding: in fact I ought to ask Brookies for some commission because the number of recommendations I gave them simply must have resulted in loads of business! Superb products delivered to your door, what more could you ask for? ...and at a reasonable price with excellent service. Bought a great suit from one of the franchises, but no waistcoat in my size, ordered direct, delivered within 3 days even though they had no stock at time of order. Definitely going to use them again. 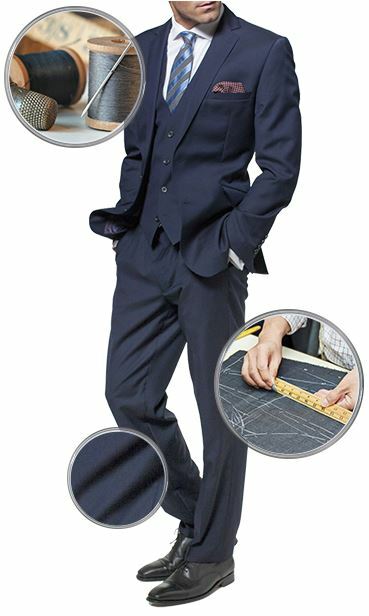 High quality tailoring, with efficient, rapid service, all at a fair price . Couldn't fault anything. I ordered a three piece suit from Brook Taverner. It arrived within a couple of days and because they offer a full range of size options the fit was excellent and the quality was superb.l was completely satisfied and would recommend Brook Taverner without any reservations. From the initial order through to receiving my husbands suit was outstanding. I cannot fault the quality of the fabric, design of the suit or the overall fit. In particulate; the differing leg lengths offered for trousers is perfect for us as he is tall and lanky, often having to buy unfinished leg length in order to get the correct drop. Brook Taverner offer multiple options. We are delighted with our purchase. Bought a new suit, kind of country check. Wool has a soft sheen finish and is an absolute stunner. 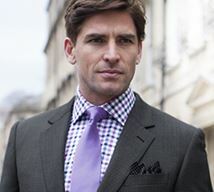 First class service from Brook Taverner when I had reason to email and telephone about an order. Their staff were professional and accommodating placing my needs above all else. 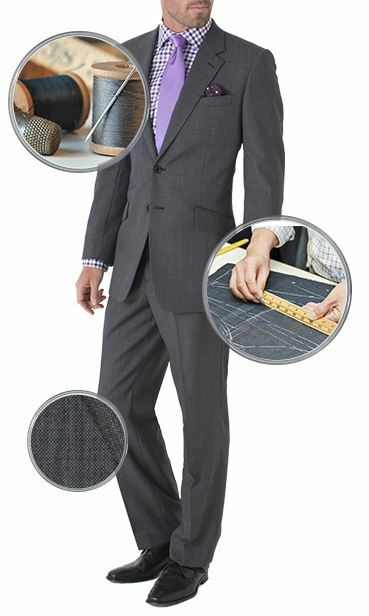 The quality and fit of the Dallas 3 piece suit belies the price. I am so impressed that I have ordered other items including another suit. great service, beautiful suit, prompt delivery, very impressed! I have two jackets, a summer and a winter one, and am delighted with them. I have recently bought a three piece suit and am even more impressed with that. It is beautifully made in a gorgeous woollen cloth. I couldn't be more impressed. A lovely three piece suit, delivered promptly but unfortunately it was the wrong style for me. Returned the item with no fuss at the post office. Thanks again Brooke Tavener, I'll be placing another order very soon. I ordered a suit, shoes and shirts from Brook Taverner. The suit trousers were out of stock at the time, however customer services contacted me to ask if I wanted the rest of the items sending out immediately, which they did. It turned out that I had ordered a jacket that was too long for me, so I returned the item to be exchanged for a smaller size. The process was easy and the replacement jacket arrived within a couple of days. The member of customer services that I spoke to was very helpful and was able to advise on the correct size to buy. I would recommend Brook Taverner to anyone and will be ordering from them again. I have made two orders from Brook Taverner. I am very pleased with my order. The quality of the merchandise is excellent. Although I missed the first delivery of one item, the system of re-arrangement was easy and efficient. Overall excellent service. I love my new suits!!!! I walked past a shop in York while on a weekend away and double took when I saw a suit in the window that caught my eye. 20 minutes later I was on my way back to London with the suit in hand. It fitted perfect and for the first time I was getting comments about how nice my suit was. This made me think that it's time to update my wardrobe so I went online and bought a couple more which I equally liked. Ordered a new tweed 3 piece suit....wasn't sure it would suit me tbh, but knew that I could return it if I didn't like it. Anyway, it looks great and the wife likes it so that was great news. 100% wool, the suit feels and looks fantastic, and was great value as well. As usual, excellent service and excellent quality from Brooktaverner. Excellent service, prompt delivery and superb quality. I am more than happy to give Brook Taverner a 5 star rating. Downgraded from excellent to average due to lack of attention to detail - enough to make me think of going elsewhere. Funky old fashioned style with a modern cut. Affordable quality. You’re advertising a three piece suit for £440. Does this include the waistcoat? It looks like you might charging an additional £120 for the waistcoat ... or am I reading that wrong? 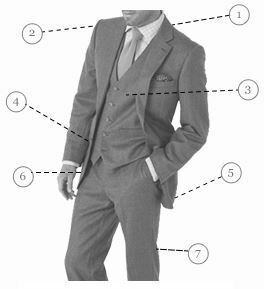 The full price of the 3 piece suit is £560, and this includes the waistcoat at £120. If you require the jacket and trousers only the full price will be £440. 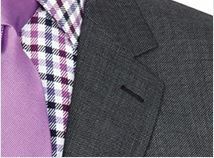 You can use this link to see details of the Tennyson suit listed as separate garments : https://www.brooktaverner.co.uk/catalogsearch/result/?q=tennyson. Can you tell me what is the actual colour of the lining of the jacket is please?